You are here: Home / Noticias / TRADITIONAL OF PREFAB HOMES? Until now, when we asked ourselves whether we wanted traditional or prefab homes, the answer was always quick: we preferred traditional ones. Traditional construction assures security, as the house is built with bricks and concrete; and offers variety of designs and durability over time. 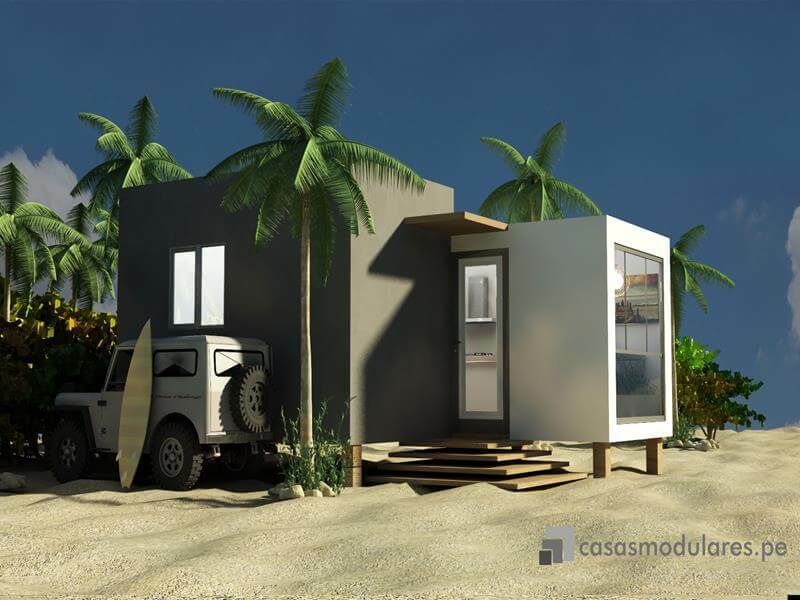 However, more and more families are discovering the advantages of prefabricated construction. Prefab homes arise as a result of the evolution that architecture and engineering have undergone in recent years. This evolution resulted in the application of the highest technology to finishes, designs and construction materials, thus allowing the appearance of a wide variety of prefab homes: steel, wood, concrete… all of them with two characteristics in common: reduced costs and shorter construction time. Prefab homes have many advantages. Among them we can highlight: construction time, which is reduced by half compared to traditional construction; use of high quality materials, that show high resistance to climate changes and meteorological phenomena; portability, being recoverable by more than 90%; safety, provided by the appropriate assembly technique; variety of designs, with more than a thousand finishes; minimum maintenance needed and, of course, reduced costs. In Silicon Valley itself, where access to housing is difficult even for engineers from large companies like Amazon and Google, these companies have ordered 300 prefab homes for their employees, saving up to $700 a month. Former employees of huge companies like Aaron Holm, who worked in product management for Amazon, or Michael Marks, one of Tesla’s first investors, have been quick to create startups dedicated to the manufacture and assembly of prefab homes. The business incubator Y Combinator, cradle of the successful Airbnb, Dropbox or Reddit, has also decided to invest in this future-oriented construction and has gone one step further: it has created a startup, Acre Desingns, which creates prefabricated and energy-efficient homes. https://www.europa-prefabri.com/wp-content/uploads/casa-prefabricada-modular-city-004-render-01-1.jpg 600 800 admin https://www.europa-prefabri.com/wp-content/uploads/LOGO-30-ANIVERSARIO-300x185.png admin2018-05-08 11:17:332018-06-04 12:48:32TRADITIONAL OF PREFAB HOMES?